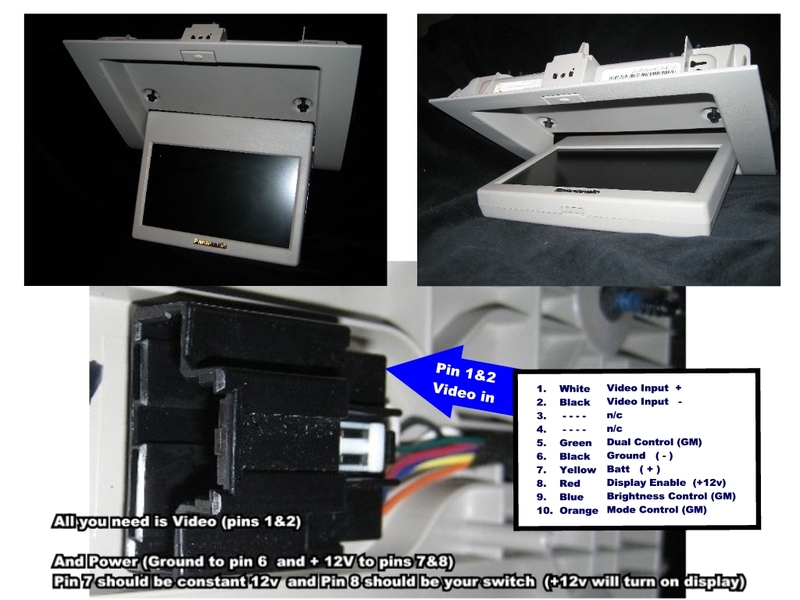 Here is the pinout configuration to enable use of this Panasonic overhead DVD Monitor in ANY VEHICLE. Not limited to ‘07-‘09 GM vehicles! GM Part #’s: 15948136 15294214 15293772 and possibly more! For video you need pins 1 and 2, plus power (ground to pin 6 and +12V power to pins 7 and 8). Pin 7 should be constant +12V and pin 8 should be your switch (+12V turn on the display).